I don’t know if you’ve noticed but there’s a buzz in the air. With the warmer temperatures and sunny days, bees around the countryside are waking up and taking flight, restocking after their winter hibernation. I’m in the process of co-ordinating a pioneer project where I live to create a network of community bee breeding hives – here I am on BBC Wiltshire last weekend (30 minutes in): http://www.bbc.co.uk/programmes/p02l3zzx – and, this Saturday (21st), I’ll be taking part in a Bees Knees Up ceilidh to help raise funds for the project. But I need a costume! I’ve got the fabric, I’ve the antennae, now all I need is a window to get sewing. 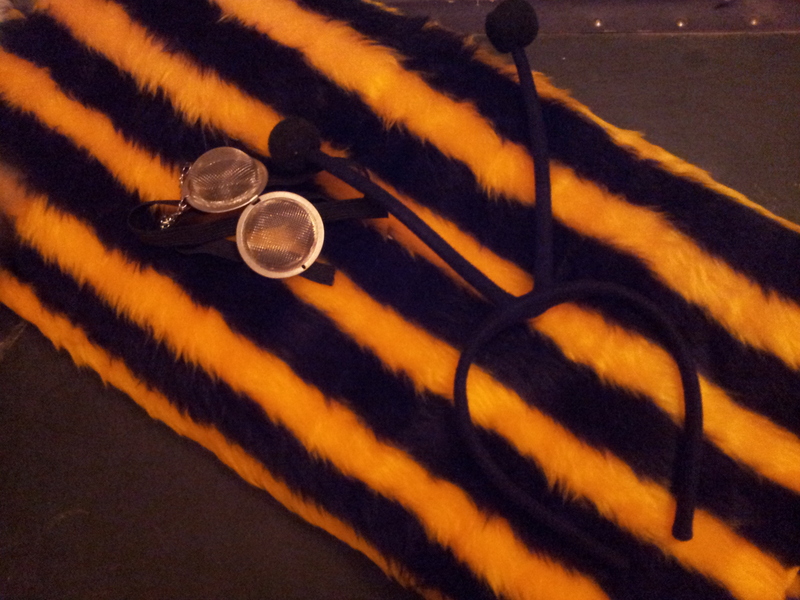 Watch this space for pictures of the event – and me dressed up as a bee! Posted in UncategorizedTagged Craft, handmadeBookmark the permalink.